In my last post on Moonshine Jelly I mentioned a neat general store where you can get some unusual food. 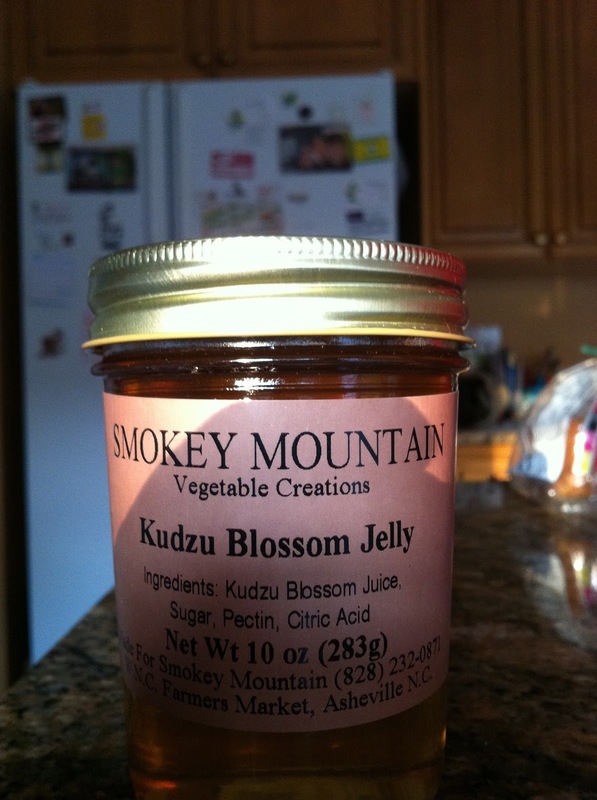 While I was there, I purchased some Kudzu Blossom Jelly. For those of you who may not know, Kudzu is a vine which is native to Japan. It was introduced in the Southern United States in a variety of ways. The largest introduction was from the Soil Conservation Service. It is now considered a week, and responsible for enormous habitat destruction in the Southeastern United States. Kudzu Blossom Jelly seems to be at least some practical use for it. This jelly is a surprisingly sweet jelly with a nice "wild" taste. I would recommend eating as much as you like and help save the South.